You may remember about a year ago I had a chat with South African Hockey and MALIK sponsored start Marcelle Manson, who is also a South African Waterpolo player. Marcelle has passed a lot of love back to All Things Jabu and managed to put me in contact with Peter and the MALIK team. I told Peter about all the coverage of hockey I am trying to generate and Peter quickly came on board with 5 giveaways for the year, yes that is five! Thank you Peter! So without too much babble from my side, I’ll let the product do the talking. Our first giveaway with MALIK South Africa is the MALIK Square 2 Stick. The Square 2 is the ideal hockey stick for improved flicking. The deeper bow provides great acceleration and increases flicking control. Ideal for players who focus on slap hitting, aerials, 3D skills and drag flicking. Here is how you can win. You can enter once on Twitter and get your name in the draw again on Facebook. Copy the following tweet and post it from your twitter account. Head on over to our Facebook Page (All Things Jabu) and tell us who is your favourite South African MALIK Hockey Player (It must be an actual MALIK player for your entry to count) . Also check out the MALIK South Africa Facebook Page for the latest MALIK news. – Give some love to Marcelle Manson for helping put this together! 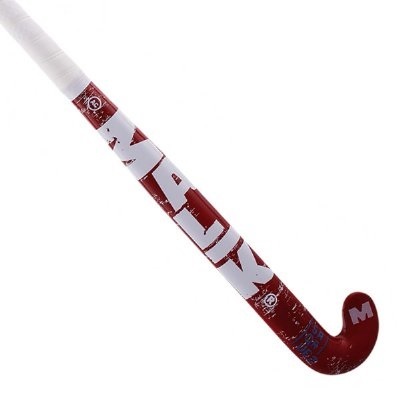 Of course if you don’t win it, you can purchase the stick from our friends at Hockey 24 Seven, where delivery is free within South Africa. Also stay tuned to All Things Jabu where we will bring you the best coverage of hockey possible and giveaways to match!